Only 3½ weeks until our marathon... I can't believe it! We're on week 15 of 18 (running schedule here) and I'm so excited, but also a little discouraged. Two weeks ago, we ran 22 miles for our long run. I felt great during the run—we were right on pace and besides for a little knee soreness, I had no pain anywhere else. I finished the run feeling like a rockstar, knowing I would have had to run only 4.2 more miles to have completed a marathon. That's crazy awesome! The only thing is that later that night, I had some major right calf pain and soreness, down by my peroneus and achilles. I thought it was just sore... but it turns out I was mistaken. I ran last Tuesday and my lower calf was still really sore. On Wednesday, I was about a mile into my mid-week 8-mile run, when I felt a big snap (not a tear, thank goodness) and immediately began hobbling due to the pain. Of course I started crying too... crying while still trying to run down the road at 5:30 in the morning in the pitch-black darkness. Awesome. I thought I may have just tweaked my calf, so I kept on running, but about a mile later the pain was pretty severe so I turned around and ran (slowly) home. And again, I cried the whole way. I think the tears were less about the pain and more due to the fact that I was upset because I thought I might be injured. I didn't think I had seriously hurt anything—I mean, I was still able to run, so nothing was torn—but the idea of training for 14 weeks and not being able to run this marathon was really getting me down. As soon as I got home, I called my physical therapist. I went to her house for an appointment, and we didn't have any fancy equipment, but she believes I have either a grade 1 soleus strain or a stress fracture in my fibula. To be honest, when I heard that news I breathed a huge sigh of relief. BOTH of those are things that can be healed, and both are also something that I can continue to run on while treating with care. 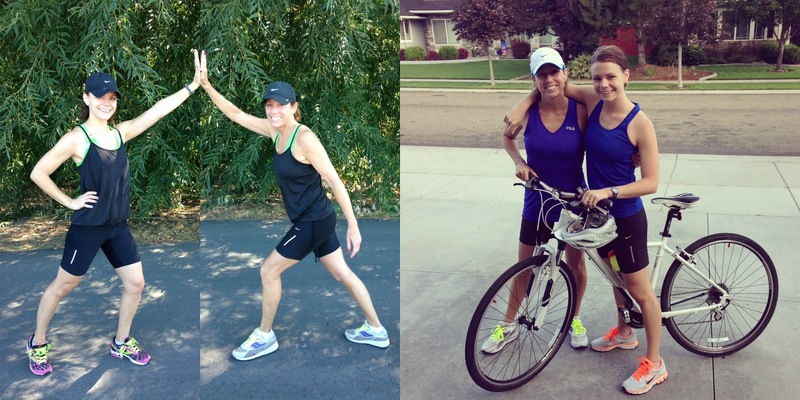 I took the rest of the week off from running, but biked the weekend 12-miles with my mom while she ran. Yesterday, I ran for the first time in a week, and while my calf was tight, the pain was not significant at all. Looks like my resting, icing, compression, elevation (and ibuprofen!) are helping do the trick. I'm keeping my running slow and not trying to do any speed training like I was before. Bummer... I was having so much fun with trying to set new training PR's, but that in itself may have been the thing that tipped off this injury in the first place... dumb, dumb, dumb—all my fault. My new goal is just to be able to actually run the marathon. So here's to healthy legs, less than a month to the race, and a big HOORAY for no more long mid-week runs (our last one was last week, now our mid-week distances max out at 5-miles). Come on legs... you can do it! congrats aunie! that's such a huge accomplishment and it's the best when you can get over the hardest part of training -- right in the middle! You are so inspiring! I absolutely hate to run, but it's something that I really wish I enjoyed! I'm glad your injury is healing- can't wait for your post about the marathon! Ugh, I know this too well. I had a huge strain on my right calf and ankle about 4 weeks before the race and I burst out in tears in the middle of the road, in the middle of the day after running about 2 miles, because I could not take a step further. R.I.C.E., some voltaren gel, and a foam roller and the stick helped me get back on my feet, I honestly didn't run much anymore for the last three weeks then. On race day I took Aleve at the beginning of the race and used KT tape on the right ankle/calf, both of that helped out a lot. nice job! you're a trooper! I am so glad to see that you are okay. I was worried that it was something more. I am also glad to hear that you are just going to try to run the race not out run it. You can always work on speed running afterwards. That is awesome about you only have less then a month. I can't wait to read about your big day. Oh man! So glad you weren't hurt more severely. I hope you will be able to have a fantastic time with your race!! I wish I enjoyed running more--I would love to be in fantastic shape and do these marathons that you do, they look so fun! Right now I just schlump my way through it but I certainly don't love it. so when i tweaked my ankle 2.5 weeks before my half, he told me that if was going to get injured, this was the best time for me to do so! (i know-- weird to hear) but basically you have done all your fitness-- with 3.5 weeks away, you have just need to maintain it! take it easy; i'm sure you'll do great in this race! Oh no! I'm so glad you're OK though! There's something about running that brings emotions right to the surface---I'm not a huge crier, but I found myself crying on multiple runs. It's like the pavement pounding just purges everything right out of you. And I totally did a post today on the 5 top ways to ruin a run, and I totally spaced pulling a muscle. I'm training for a marathon too! It is HARD work! You go girl, but be careful! You don't want to ruin your knees for the rest of your life. I am going to be doing this marathon slow so I don't hurt my knees more than they already do! :( I hate getting injured!! Where are you running the marathon, Boise or Seattle? You totally have this! Listen to your body and take extra rest during your taper if required! 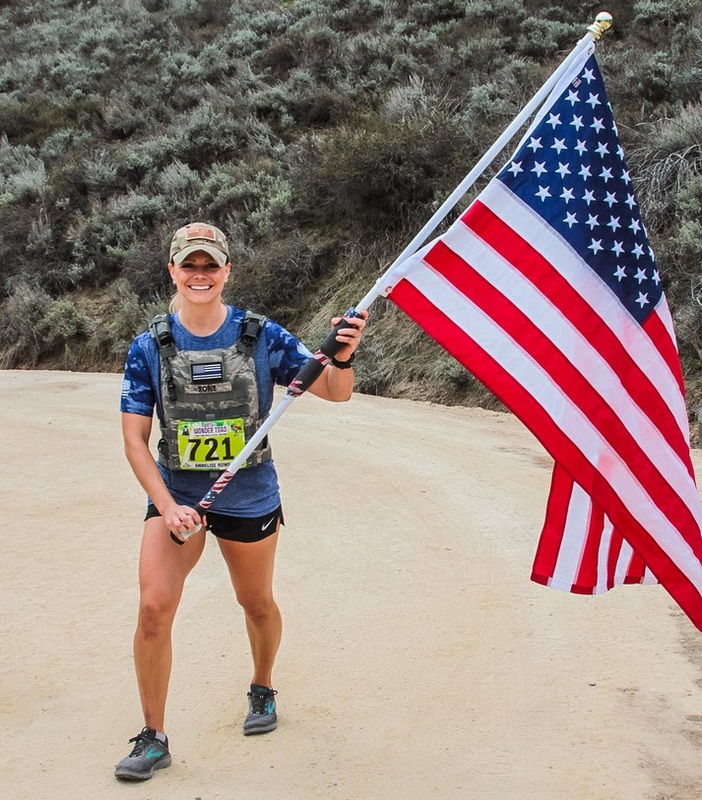 You won't lose any fitness at this point after rocking your 22 miler. Im so excited to see how you do!! Gooooood luck!! Ashley, you know... I LOVE running shorter distances, like 6-8 miles. But this marathon training is just too much! I can't wait until I'm back to just running to run... not running to train :) Thank you again! Oh my gosh, this makes me feel SO MUCH BETTER! I keep getting discouraged, but this is exactly what I've been going through and feeling! Yes to all of this, and thank you SO MUCH for the help/advice. Thanks Cody. I'm relieved, too. I definitely thought it was something worse, considering that even walking was difficult for a few days. Thanks for keeping me in your thoughts. 1 more update before the race. Can't wait! Thanks Breanna. I know... ugh to thinking about training all this time. Cross your fingers for me... just 3 more weeks! That makes me feel a lot better... phew! We are supposed to do a long 20-miler tomorrow... I'm still not sure how much of it I should run. I might just do 10 or so! Thank you so much, Torrie. You're right, not sure what it is about running, but if there are tears there, the run is either going to get rid of them or bring them to the surface. It's great therapy :) And going to see your post now! Thanks Bridgette! I know... ugh my knees! I think the knee pain/soreness alone is enough for me to not want to do any more marathons after this :) Take care of yourself with your training, and good luck! Thanks Christy!!! That makes me feel better. I know... I already did a longer run than I was even technically supposed to, so I can't wait for the big day :) Thanks again! Thanks so much, Amelia! Good luck in 2 weeks... half marathons are my FAVORITE. They're long, but not so long that you're so bored by the end :) Have so so so much fun!